New York (TADIAS) — President Barack Obama is preparing to make a landmark trip to Ethiopia and the African Union headquarters in Addis Ababa in late July as the first sitting U.S. president to visit the nation. Diplomatic relations between the U.S. and Ethiopia formally began with the signing of the first U.S.-Ethiopia bilateral trade agreement in 1903 during the term of President Theodore Roosevelt and the era of Emperor Menelik II in Ethiopia. 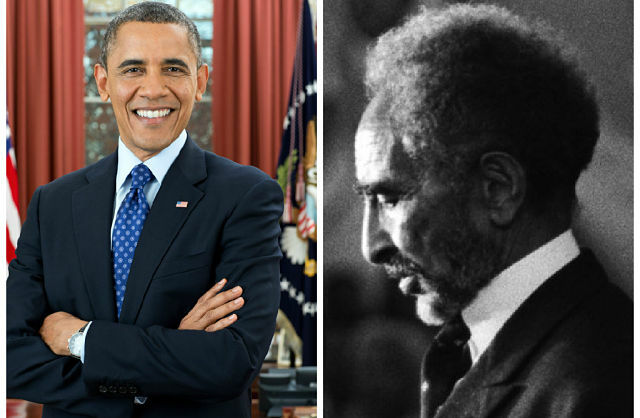 In addition to President Obama’s planned meetings with Ethiopian authorities regarding business investments, international security and democratic governance, we also hope that the President recognizes the significant role that Ethiopia’s former Emperor Haile Selassie played in the creation of the African Union’s predecessor – the Organization of African Unity — as he takes the stage to address African leaders in its new hall. As Professor Ted Vestal, author of the book The Lion of Judah in the New World, points out “Haile Selassie was an iconic figure of the 20th Century, Cold-war ally of the United States, staunch anti-colonialist, and a noted Pan-Africanist and founding father of the Organization of African Unity.” According to Vestal the Emperor visited the U.S. as a Foreign Head of State, a record 6 times only matched by the Queen of England later in the 21st century. We welcome President Obama going to Ethiopia and the African Union’s headquarters and are thrilled that he decided to make this historic trip as the first sitting President to do so in American history. Click here to listen to the complete audio of President John F. Kennedy’s welcoming remarks to Haile Selassie, Emperor of Ethiopia, at Union Station in Washington, D.C., on October 1st, 1963.